Use automatic software to draw 3D diagrams amazingly quickly. Download free templates to get started as soon as possible. When you need to show the hierarchy of a few issues, it is advisable to use a pyramid diagram. 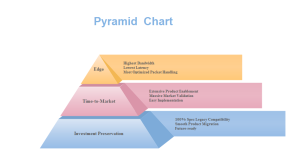 Edraw is a great solution for pyramid diagrams of various styles, including 3D pyramid charts. 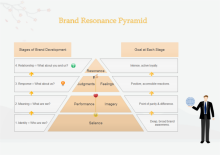 Bring your ideas to life in a 3D pyramid diagram. 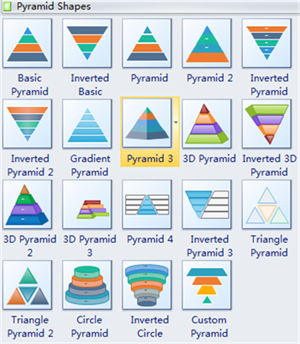 Use a powerful tool to make 3D pyramid diagrams in an instant. Edraw has prepared some 3D templates and examples in advance to quicken the process of creating pyramid diagram. They are easy to use in vector format with intelligent floating quick buttons. All templates are attached with text boxes for easy input of information. Its user-friendly interface is similar with MS Word program. Even novice users without any drawing skill or experience can make 3D pyramid diagrams amazingly quickly. 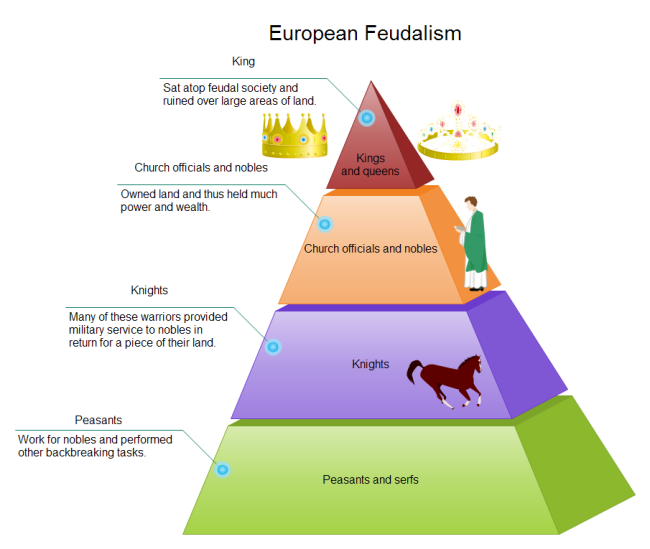 This diagram explains the role of each social class in the feudal system. It answers the following questions visually. 1. Who owned the most land? 2. Who offered military service in order to get land? 3. What class was the largest in feudal society? 4. What was the key to wealth and power in the feudal system (what did you have to own)? 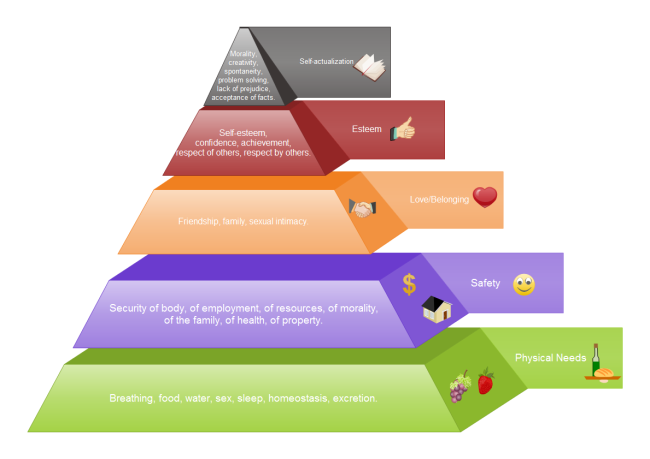 The above picture is a printable and editable version of Maslow's pyramid. It is a straight-forward version for free print and download, with high quality illustrations to represent each row of the pyramid. Ease of editing and print, such as change of theme at one click and drag and drop background adding. Variety of formats, including vector graphics (SVG, EMF, EPS), bitmap graphics (PNG, JPEG, GIF, BMP, TIFF), web documents (HTML, PDF), PowerPoint presentations (PPT), and Adobe Flash (SWF). Predefined callout shapes for easier description.